Korean barbecue at its best. 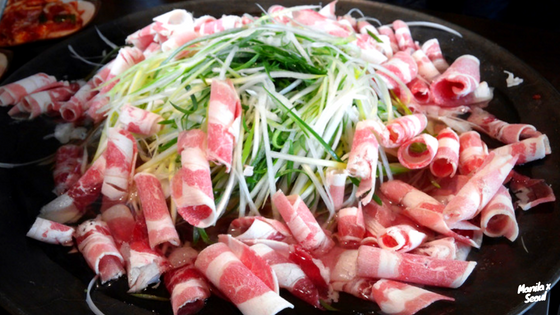 We've been following @miyang8001 on Instagram and we're loving her posts on Korean barbecue. It makes us drool every time. Heads up! There's a new branch of Romantic Baboy that opened up in Manila (Libis) to fulfill your heart's desire. The following photos were taken from @miyang8001's Instagram feed, which looks amazing as it is appetizing. Prepare to get hungry. Now it's time to fire 'em up! As you can see, @miyang8001 certainly has no chill when it comes to Korean barbecue. And. We. Love. It. If you're ever in Manila, there's a top Korean grill that just opened another branch to serve more Korean grill fanatics! You can visit the newly opened Romantic Baboy in Libis Intrepid Plaza. Like ManilaxSeoul on Facebook to stay updated on the latest!